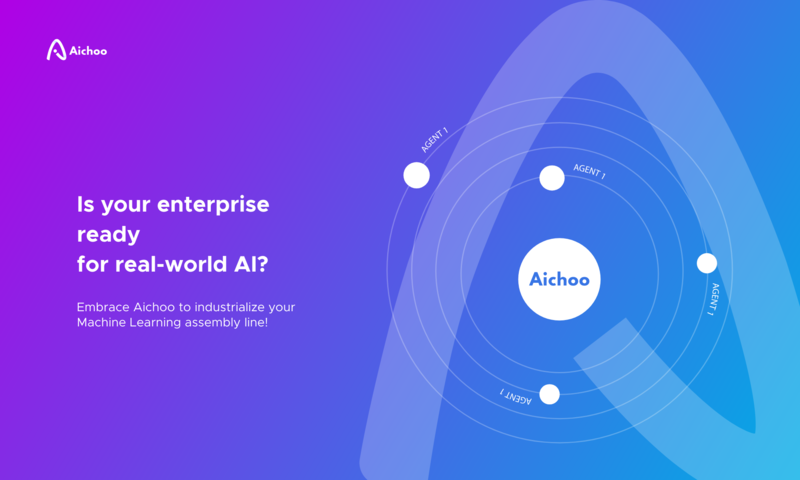 Aichoo AIOS platform is primarily a data processing pipeline infrastructure with a kernel which orchestrates execution of Agents that constitute the end-to-end Machine Learning pipeline. Agents are in principle similar to Linux/Unix tools which make these operating systems so powerful. Each agent is a self-contained class with clearly defined purpose of loading data columns from the AIOS Memory and creating new columns in return. Agents classes are written primarily in Python but could as well be in R or any other language supported by Jupyter Notebooks as all execution happens on a Jupyter server. As long as Agents are developed to this simple specification, any Machine Learning pipeline can quickly be constructed from a library of such agents, hence simplifying model development and deployment of applications that rely on ML models. We have been creating a public library of such agents, please see AIOS GitHub repository, and we would like to welcome all developers and data scientists to contribute to the AIOS_community repository. Aichoo AIOS platform is now available online for non-commercial use. We currently give all users private Jupyter container on a shared server to try the AIOS out. If your pull requests to the main AIOS repository will be accepted, then we would also give the author one Aichoo token for each line of code contributed. Aichoo tokens are Ethereum based tokens, which we will later accept as a form of payment for computing resources and for AIOS commercial use. We may also organise an ICO which will set a market value to the Aichoo tokens. Documentation how the platform works and how agents should be created can be found on the GitHub here. If you have issues or questions, please add and discuss those also on the GitHub Issues page.